To provide quality experiences for students of all ages, we team up with Sponsors who live and work in your cities and neighborhoods. Our field trip Sponsors care deeply about their community and want to actively support educators. Thanks to their ongoing support, we are able to offer all our experiential programs for FREE. Best Buy is one of Canada’s largest retailers, operating the Best Buy, Best Buy Mobile, and Geek Squad brands. The Company offers consumers a unique shopping experience with the latest technology and entertainment products, plus an expanded assortment of lifestyle products offered through its website (www.bestbuy.ca), at the right price, with a no-pressure (non-commissioned) sales environment. Geek Squad Academy is an educational program under Best Buy Canada’s community investment pillar. We partner with local non-profit organizations and schools to teach students about the latest technology in a fun, interactive environment. For more information, please go to www.bestbuy.ca/geeksquadacademy. Since 1975, Big Al's has provided its patrons with the largest selection of aquariums, aquarium furniture, and aquarium supplies, as well as an extensive variety of marine fish, live corals, goldfish and tropical fish. We are fervently committed to meeting and exceeding the expectations of our esteemed clientele, and are dedicated to providing our guaranteed lowest prices at all times. Our superstores are designed to provide technical services as well as a vast array of equipment to both the first time hobbyist and ultimate aquatic specialist. As northern Illinois' local utility and energy delivery company with more than a century of experience, our commitment to customer service, security, and satisfaction is guided by the progress of the past and the promise of the future. Driving an industry that is entrepreneurial in nature, we have always remained focused on benefiting the people, environment, and economies of the communities we serve. We continue to enhance our services and the workforce that helps us generate smart ideas. In business since 1943 with a tradition of quality, freshness, high customer service levels, and community involvement, D&W Fresh Market is for people who appreciate good food. 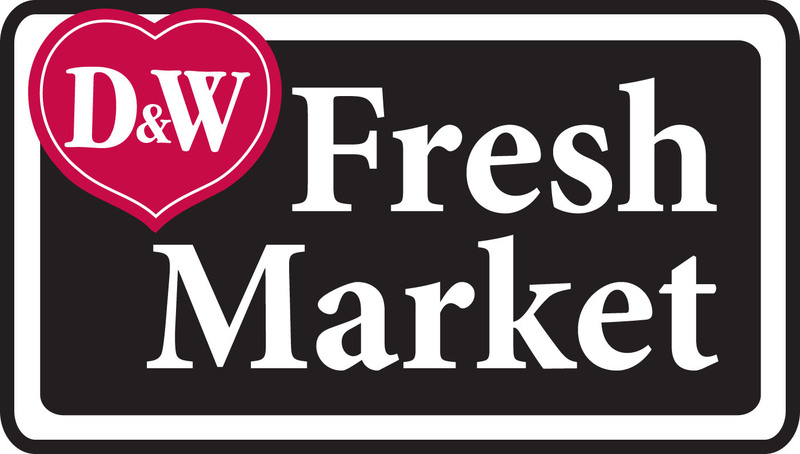 With 11 D&W Fresh Market stores, our fresh market platform is the shopping destination for what’s unique and fresh and is where all culinary and service needs are exceeded. These premier grocery stores offer Starbucks, premium meats and cheeses, fresh sushi made daily, wine stewards, fresh seafood counters and fresh produce. The first Dan’s Supermarket opened in 1953 in Bismarck, N.D. and now has five stores serving Bismarck and Mandan families, delivering excellent customer-focused products and services. Whether shopping online for home delivery or strolling through Dan’s Pantry for everything you need from dairy to bakery and everything in between, store guests count on Dan’s commitment to quality, local products whenever available. Dan’s focus on nutrition, relevant coupons, and weekly specials also help customers find healthy solutions that meet their budgets. And when life calls for a special occasion, Dan’s catering comes through with specialty cakes, deli trays, and fresh fruits and vegetables. With more than 75 locations, Family Fare Supermarkets have been serving Michigan families since 1962. In 2014, we expanded our footprint into North Dakota, and since then, we’ve added stores in Iowa, Minnesota, Nebraska and South Dakota. Our Family Fare Supermarkets are community-minded, where residents and guests always come first and value and convenience are never compromised. Our easy-to-navigate stores offer an alternative to supercenters, plus save busy families both time and money because they offer huge savings, weekly ad specials and plenty of variety to help stretch a family’s food budget. 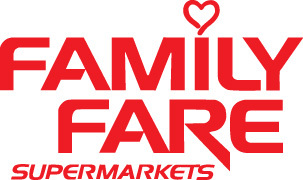 Family Fresh Market proudly serves communities across Minnesota, Wisconsin, and Nebraska. These friendly stores offer fresh bread baked daily, deli meats and cheeses, a fabulous wine selection and fresh produce while providing value for all your fresh food and grocery needs. We strive to bring you quality, affordable products you’ll be proud to bring home to your family. Fry's Food Stores® is proud to sponsor Be A Smart Shopper! in all its stores in Arizona. Fry's Food Stores® are a division of Kroger®. Fry’s was awarded the Arizona Fundraising Professionals “2012 Outstanding Corporation Award” for the company’s generosity to the Arizona community. Programs and initiatives supported include, but are not limited to, Apples for the Students, Labels for Education,Upromise, American Diabetes Association and the American Cancer Society’s Relay for Life. Ralphs Grocery Company is dedicated to our purpose: to Feed the Human Spirit™. We are more than 18,000 associates serving customers in 191 supermarkets across Southern California. From the company’s headquarters in Los Angeles County, Ralphs is a recognized leader in community service and giving. The company supports Kroger’s Zero Hunger | Zero Waste initiative aimed at ending hunger in our communities and eliminating waste within our company by the year 2025. Ralphs is a subsidiary of The Kroger Co., (NYSE:KR), one of the world’s largest retailers, based in Cincinnati, Ohio. For more about Ralphs, please visit our website at www.ralphs.com. Stop & Shop is proud to sponsor Kid Healthy Ideas™ in all its stores. Stop & Shop is a divison of Ahold Companies. The company helps support local communities fight hunger, combat childhood cancer, and promotes general health and wellness with emphasis on children's educational and support programs. Stop & Shop is a member of the U.S Green Building Council and EPA's Smart Way program and has been awarded LEED (EB) certifications for 50 of its stores. Stop & Shop has been recognized by the EPA for the superior energy management. Since 1961, VG’s has been a gathering place for food and friends with personal service by people who care. 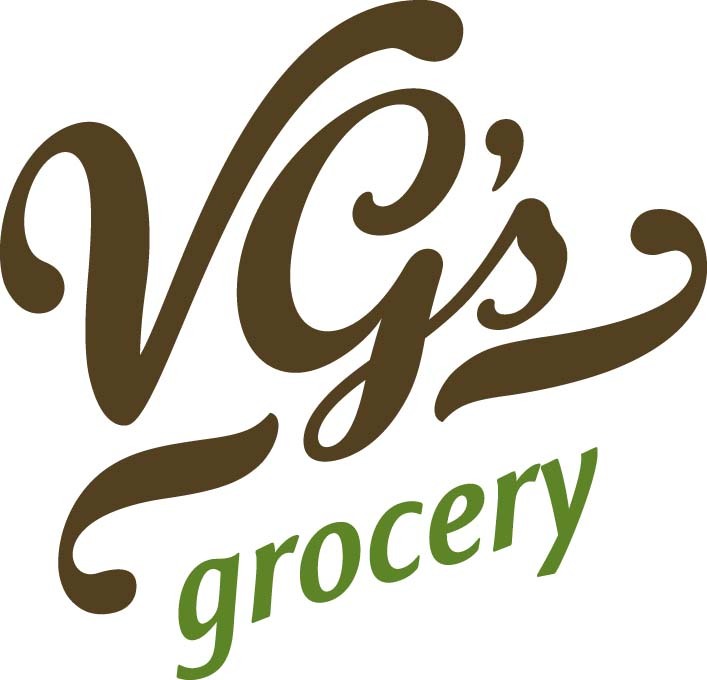 With multiple locations, VG’s stores are located on the east side of Michigan, catering to shoppers who like the personal touch. VG’s offers fresh, homemade and unique products delivered with genuine, caring service. These friendly stores offer fresh bread baked daily, deli meats and cheeses, a fabulous wine selection and fresh produce while providing value for all your fresh food and grocery needs. Weis Markets, Inc. is a Mid Atlantic family-owned and operated food retailer with 200 stores throughout Pennsylvania, Maryland, New York, New Jersey, Delaware, Virginia and West Virginia. At the core of Weis Markets’ mission statement is to serve as a good steward of the environment and give back to the community, including the next generation of shoppers. The Weis Field Trip program was developed by our Weis Registered Dietitians to provide children with the opportunity to learn about the grocery store through Weis Explorers, and the importance of healthy eating and exercise through Weis Mystery Tours. Visit weismarkets.com/healthyliving to learn more about the Weis Dietitian team, view our latest HealthyBites Magazine and much more!